With contributions by Paula Morgan-Johnson, Paula Sacks, Caroline R. Baltzer, James Hickey, Andrea Cole, Jan Bloom, and Deirdre Fay. 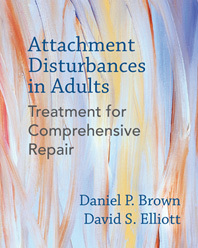 Attachment Disturbances in Adults is a landmark resource for (1) understanding attachment, its development, and the most clinically relevant findings from attachment research, and (2) using this understanding to inform systematic, comprehensive, and clinically effective and efficient treatment of attachment disturbances in adults. It offers an innovative therapeutic model and set of methods for treating adult patients with dismissing, anxious-preoccupied, or disorganized attachment. In rich detail, it integrates historical and leading-edge attachment research into practical, effective treatment protocols for each type of insecure attachment. Case transcripts and many sample therapist phrasings illustrate how to apply the methods in practice. Part I, "Foundational Concepts," features a comprehensive overview of the field of attachment, including its history, seminal ideas, and existing knowledge about the development of attachment bonds and behaviors. Part II, "Assessment," addresses the assessment of attachment disturbances. It includes an overview of attachment assessment for the clinician and a trove of practical recommendations for assessing patients' attachment behavior and status both outside of and within the therapeutic relationship. Used together, these interdependent pillars form a unified and profoundly effective method of treatment for attachment disturbances in adults—a must for any clinician. In Part IV, "Type-Specific Treatment," readers will learn specific variations of the three treatment pillars to maximize efficacy with each type of insecure attachment. Finally, Part V, "A Treatment Guide and Expected Outcomes," describes treatment in a step-by-step format and provides a success-assessment guide for the Three Pillars approach. This book is a comprehensive educational resource and a deeply practical clinical guide. It offers clinicians a complete set of tools for effective and efficient treatment of adult patients with attachment disturbances.